More background on the oldest campaign setting? Look no more, because here it is. 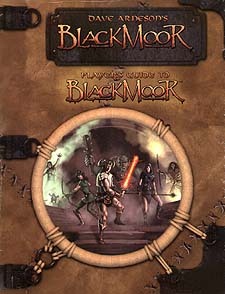 The Player's Guide to Blackmoor has what every player of Dave Arneson's Blackmoor campaign is looking for. New classes, prestige classes, skills, feats and spells are just some of the information contained on these pages. You will learn about Blackmoor's religions. Gain insight into the various groups vying for power and influencing the North. Here are answers to some of the questions you have had about Blackmoor. Here are new mysteries as well. Requires the use of the Dungeons & Dragons Player's Handbook. This product utilizes updated material from the v.3.5.